This is one of my friend's favorite meals. I noticed that she was always getting flank steak and never had a good recipe, so I finally got the recipe and, thanks to Rachel…here you go! It's a bit spicy, but you can tone it back as much as you want. We like to serve it over brown rice, but it's also good to serve in corn tortillas!! Serve over brown rice with steamed veggies on the side OR serve inside corn tortillas. 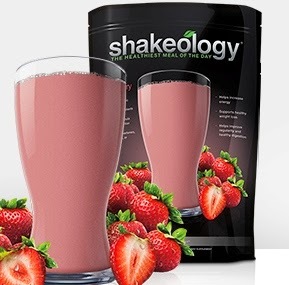 The new Strawberry Shakeology was released about a month ago…I decided to try it but wasn't sure I would enjoy it as much as I love my Chocolate Shakeology…However, I decided to give it a try thinking "I can put up with it for a month!" Well…I LOVE it!! I'm not sure if it surpasses chocolate, but it comes in very close! I'm a chocolate girl thru and thru…but whatever it is about the Strawberry, I just love it. It's a great change for me right now especially!! 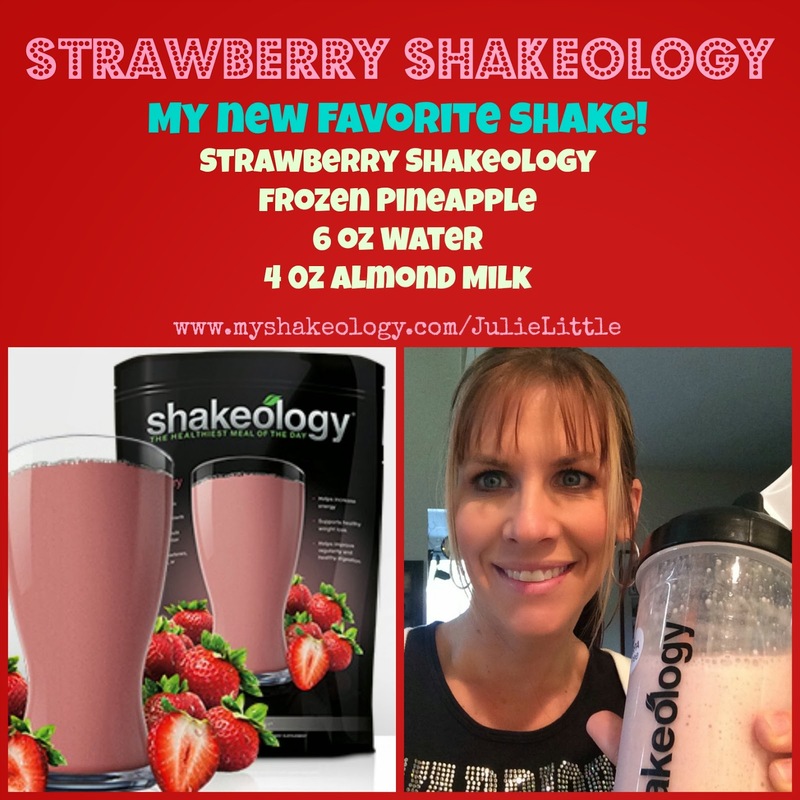 So, here's one of my Strawberry Shakeology recipes I love! Strawberry Pineapple Shakeology! If you need some help with knowing how to make it…watch this video! Here are some more Strawberry Shakeology Recipes to try! 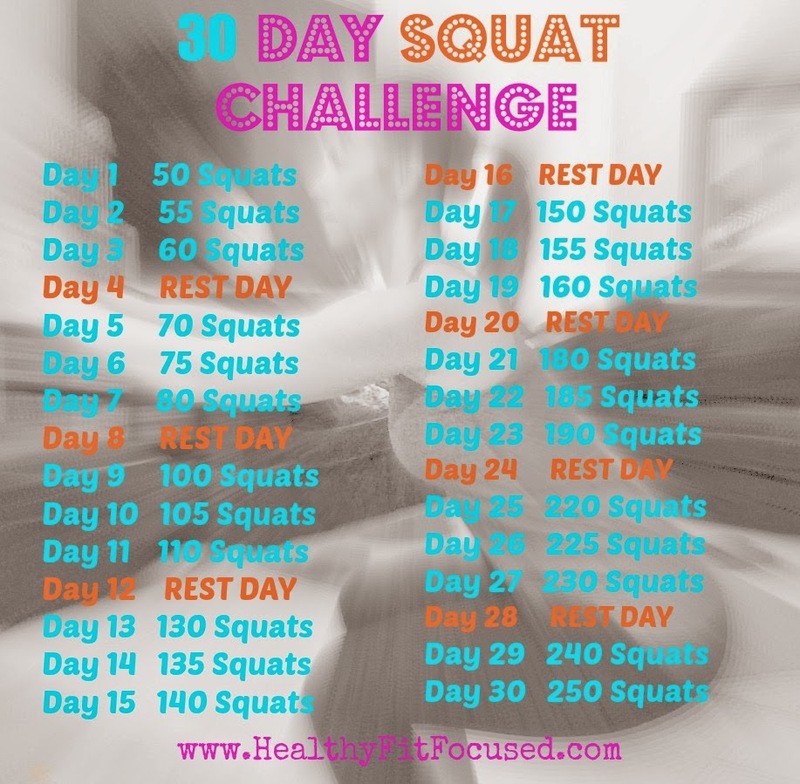 I stuck to every workout this week, the workouts are only 30 minutes long and it's easy to get through each of the workouts if time is an issue for you. Now, don't get me wrong…the workouts aren't "easy"…they make you work and they are tough, but if you are a beginner, they are completely doable for you. 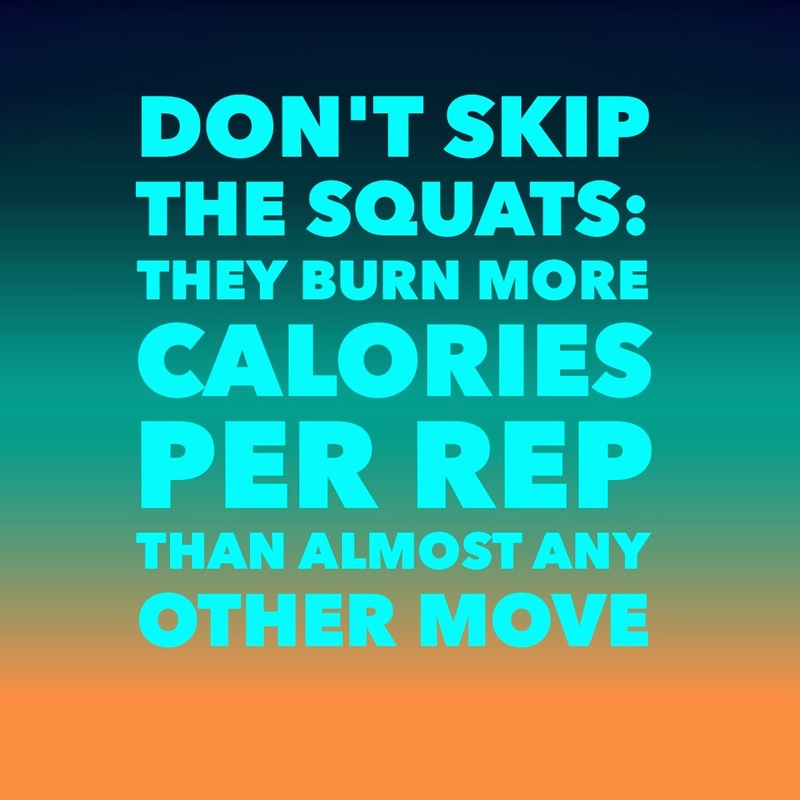 There are modified moves and you can take it at your own pace until you build up enough strength to increase your weights or graduate from the modified moves. The pre-measured containers take a bit to get used to. 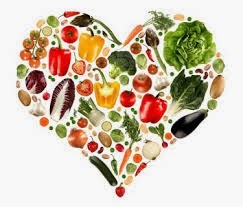 Remember, you are most likely breaking old habits of eating too much of one food group at a time or too little of another, so you will need to adjust what you are used to eating. Decreasing my yellow container (carb container). Now, I don't feel like I ate a ton of carbs to begin with, however, my portion sizes for my oatmeal in the morning and my rice or quinoa in the evening had to be adjusted. I found myself just taking out my morning oatmeal all together and just having my shake for breakfast. I need to drink more water! It was a lot of work making sure I had my Green Container (veggies) all in for my day. I thought I ate more veggies than I really did! Oops! I really gained an understanding for correct sizes of portions! I was not as hungry as I thought I might be. If you find yourself getting hungry, look back at each food option and substitute a different food from that group and see if that will hold you over longer. I found that Greek Yogurt (red container) plus a fruit (purple container) was a really great and filling snack for me. I felt like I was eating a lot of food at one time! Get the workouts done FIRST THING in the morning!! Makes the day run so much smoother! PLAN AHEAD! This is really tough if you don't plan ahead. Bring your snacks with you if you are going out for the day! Don't find yourself without your meal plan or snacks. 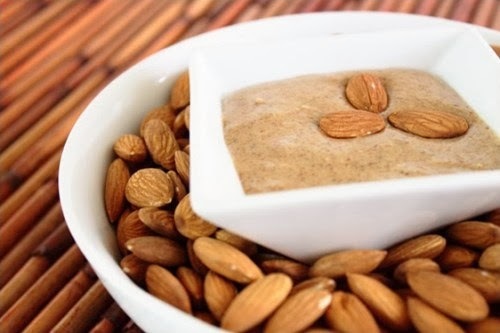 Favorite 21 Day Fix Snack! 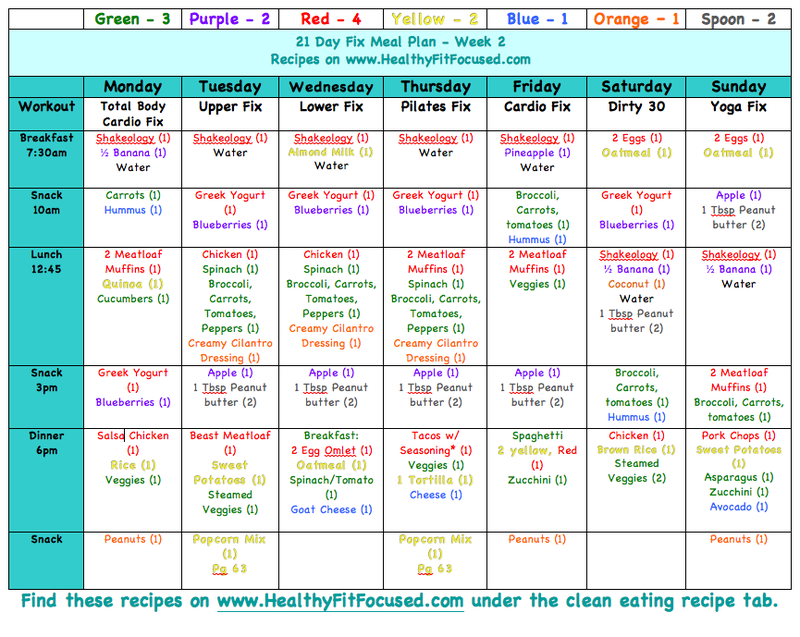 Here's my meal plan for this week. A lot of it is the same but changed the dinners up a bit! If you are interested in joining a challenge group for the 21 Day Fix that will give you support and motivation please fill out the application below to be placed in my next 21 Day Fix Group! Don't forget, for the month of February the 21 Day Fix Challenge Pack is on sale for $140. You'll received the workout and nutrition guide plus one month supply of Shakeology. It's basically like buying the workout for only $10 after your purchase of Shakeology! After February, the Challenge Pack is still an amazing deal, $160 for the Shakeology and 21 Day Fix program. You're going to love it and love the results!! 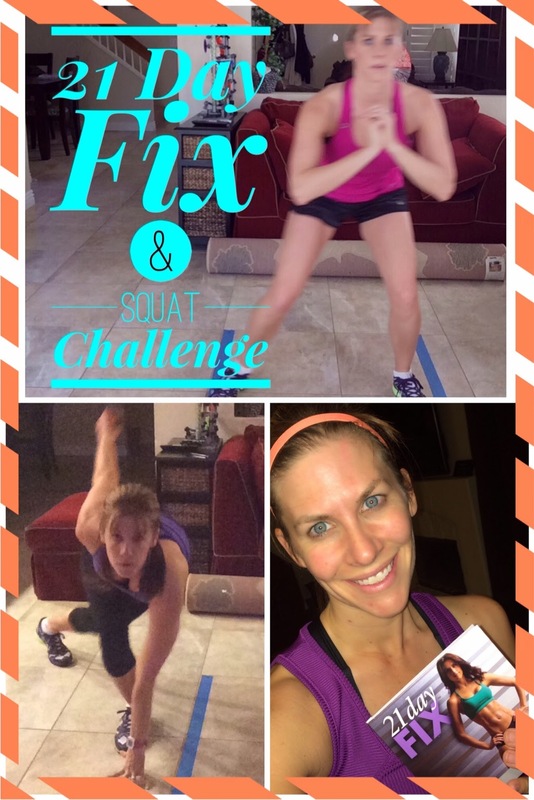 New 21 Day Fix groups starting every month! Don't miss out! Fill out the application below. Who DOESN'T love pizza? I know I love it!! And no, it's not the slightest bit healthy for you…not at all! So does that mean you should never have it for the rest of your life? NO…(everything in moderation people!! )…BUT, if you want it more than "just in moderation" you better find a more healthy way of eating it! One way, is to make the Cauliflower Pizza Crust, you can find that recipe HERE! 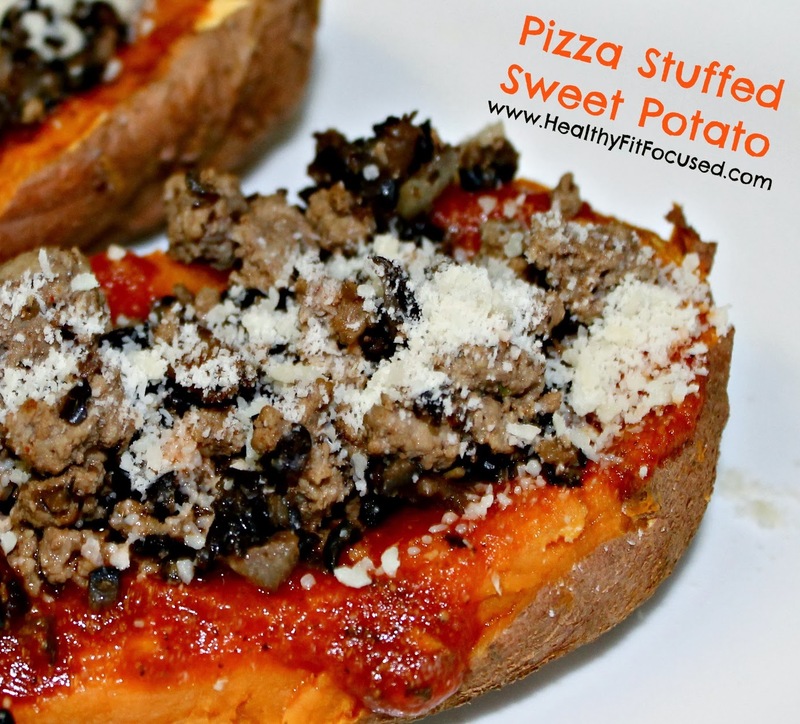 But if you want even another way of making "pizza"…try this: Pizza Stuffed Sweet Potatoes! Ohhh…how I love sweet potatoes!! In a skillet, over low-medium heat, add oil and onion and garlic. Sauté until caramelized. Remove and add a little more oil and the mushrooms. Sauté until soft. Remove mushrooms and add sausage over medium heat. Sauté until browned. Once the potatoes are soft, flip them over and smash the insides a bit with a fork. First top them with sauce, then add any desirable toppings, then with cheese. Put face up in the oven on broil for 2 minutes until cheese is melty. 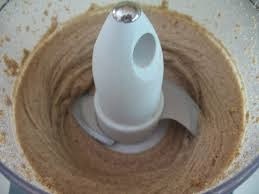 Pour Ingredients into the food processor and blend for 5 minutes or so. Wait until the mixture gets oily and starts to "ball up" and then let if blend for 1 more minute. Add more salt and spices if needed. I'm really excited to be starting this 21 Day Fix. 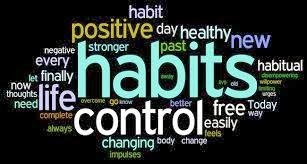 It takes 21 days to break a habit and make a new habit. I LOVE food!! I have my favorite foods and like many others, I have the hardest time keeping my portion sizes the size they need to be. That's why I am so excited about this program and nutrition plan. It gives colored containers based on food groups that you need each day and you fill those containers up with the appropraite amount of food! 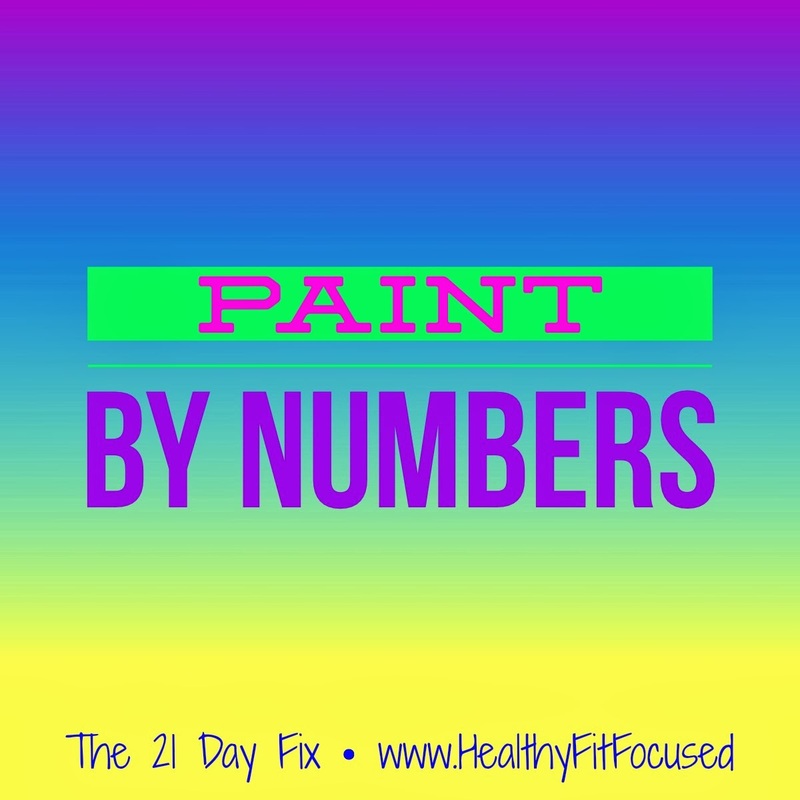 It's a paint by numbers nutrition and exercise program! I prepped my meals on Sunday…I grilled a bunch of chicken for the week and made 3 dozen meatloaf muffins (my kids LOVE these for their lunches, so had to make extras!). I chopped a bunch of veggies to top my salad so now I just need to scoop those out with a green container! Made quinoa and some spice mixes too! All ready to go!! If you are interested in joining me in doing this program and would like more info about my next challenge group with 21 Day Fix, fill out this application below to be a part of the next group or to learn how to order!! I wanted something just tasty tonight…I had some chicken…cooked brown rice and lots of broccoli! So what better than to make a healthy bake! And Yummmmmy! This was so delicious!! Definitely making this again! Great HEALTHY Comfort Food! ONE: Preheat oven to 350 degrees. Combine rice, 1 cup cheese, chicken, cottage cheese/yogurt, broccoli, onion, egg whites, green chilis, and cilantro in a large bowl; Mix well. TWO: Spray an 8x8inch glass baking dish with cooking spray and dump the rice mixture in. Top with the remaining ½ cup of cheese. THREE: Bake 45 to 50 minutes until the cheese on top is melted and bubbly. 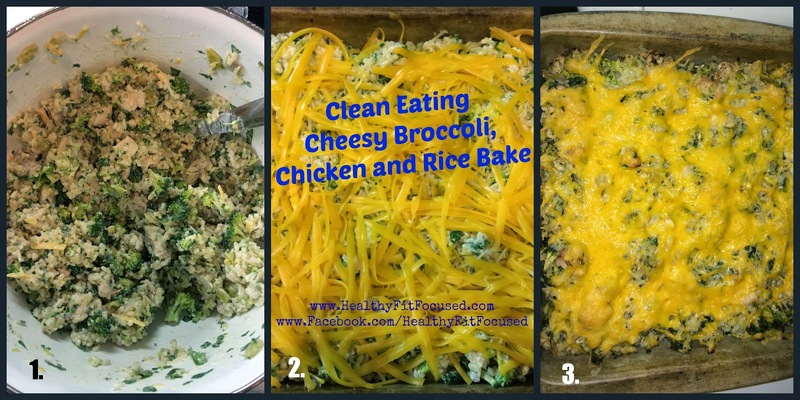 For more clean eating recipes go HERE! 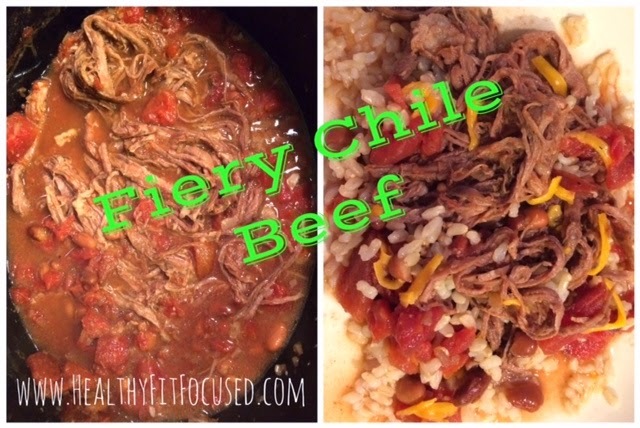 I'll definitely be trying this recipe out in the next couple days!! Bring water to boil; add quinoa and salt. Bring to a boil, then reduce heat to low and simmer, covered, for 20 minutes until water is absorbed and quinoa is cooked. Remove lid and spoon quinoa into a large mixing bowl. Let cool. In a medium bow, disk together eggs, almond milk, vanilla, cinnamon and maple syrup. Add quinoa and mix well. 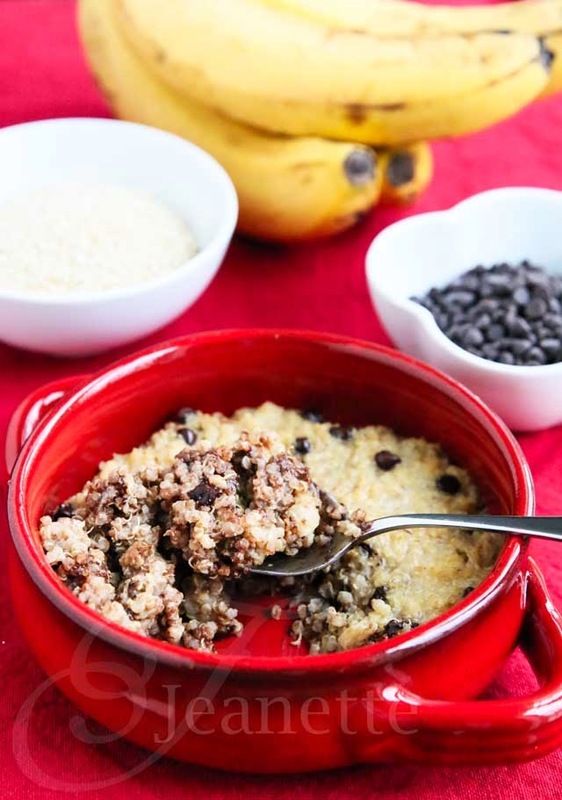 Gently stir in mashed bananas and chocolate chips. Spoon into individual baking dishes or one large baking dish. Bake for 20-25 minutes until breakfast bake is set. Optional Add-Ins: Craisins, Raisins, almonds, white chocolate chips, walnuts. 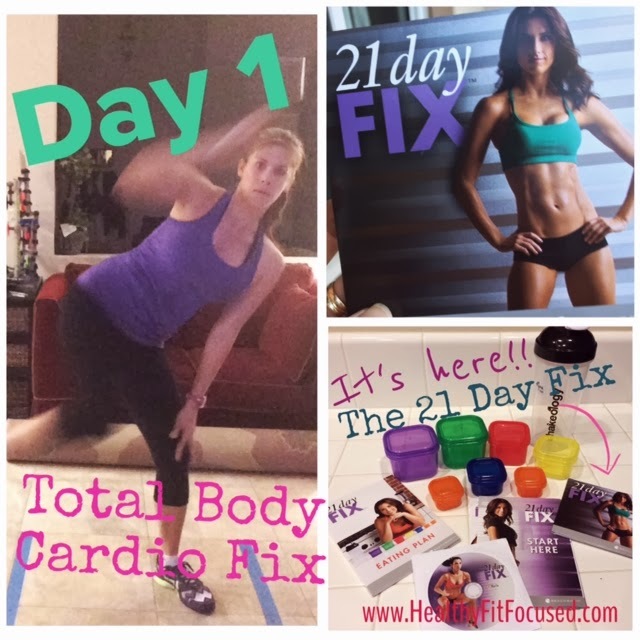 Get all the 21 Day Fix Info NOW!! 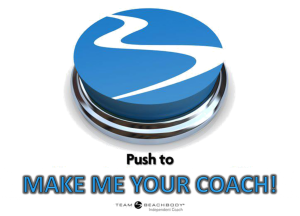 Released on February 3rd, 2014 from ME as Your Team Beachbody COACH!! Autumn Calabrese is a celebrity fitness trainer, busy mom, and national-level bikini competitor. She came up with the idea of a portion-control container system after watching a client eat an entire 1,300-calorie salad in one sitting because it was “healthy.” Autumn realized that supersized portions were hurting her clients’ weight-loss success because they were eating too much without knowing it. So she developed portion-control containers to help people see how simple it is to eat the right amounts and lose weight easily. And as a single mother, Autumn understands how hard it can be to fit exercise and healthy eating into a jam-packed schedule. So she created short but effective workouts that take only 30 minutes a day, along with a simple eating plan that doesn’t require you to spend hours in the kitchen. What do I get in the 21 Day Fix? 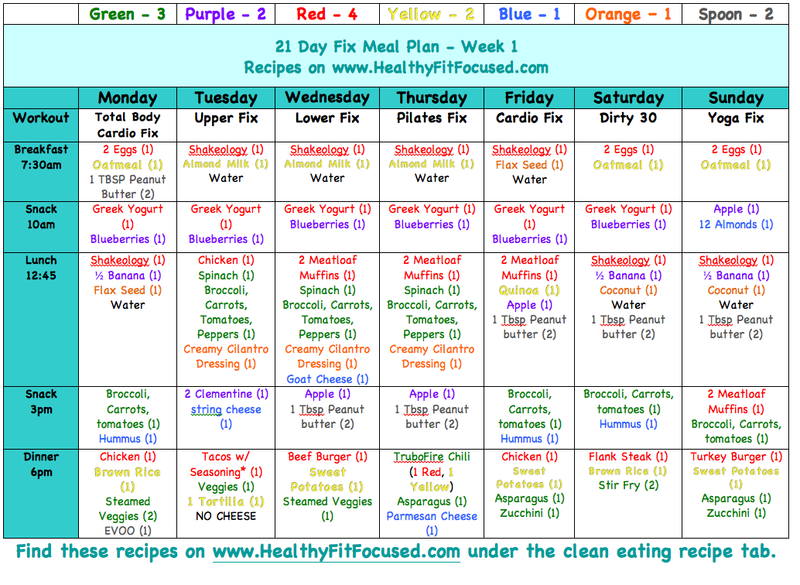 21 Day Fix Eating Plan - Step-by-step nutrition guide that tells you exactly what to do. • Dumbbells or resistance bands (not included in the 21 Day Fix Essential Package). Is this good if I have a weigh loss deadline? Yes, this is a great program and can help you lose weight fast. If you commit to this program you can be feeling amazing for the big event. Can I do the 21 Day Fix more than one time in a row? Yes, you can do this for a one time workout and nutrition program or if you have not reached your goal weight then you can do it one time right after the other until you've reached your goal weight. Can I eat out at restaurants when I do the 21 Day Fix? Yes, the Eating Plan includes a restaurant guide that shows you how to practice portion control at your favorite restaurants. What does it mean when you say "no off-limit foods"? The 21 Day Fix Eating Plan shows you how to incorporate treats (like chocolate and wine) into the plan . . . and you can still lose weight. Is this too complicated for busy people? No! 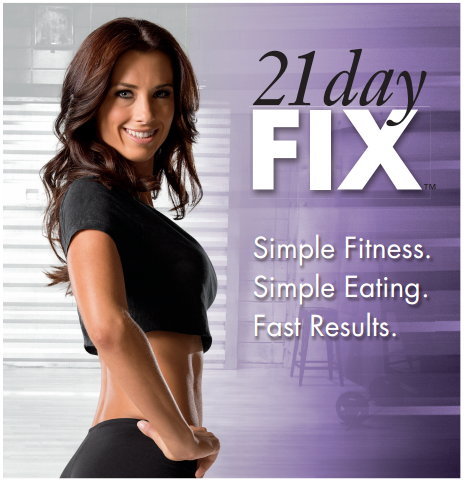 The 21 Day Fix takes out the guesswork so you don’t have to spend all day in the kitchen or the gym. Just follow the Eating Plan and do one 30-minute workout per day. That’s it. 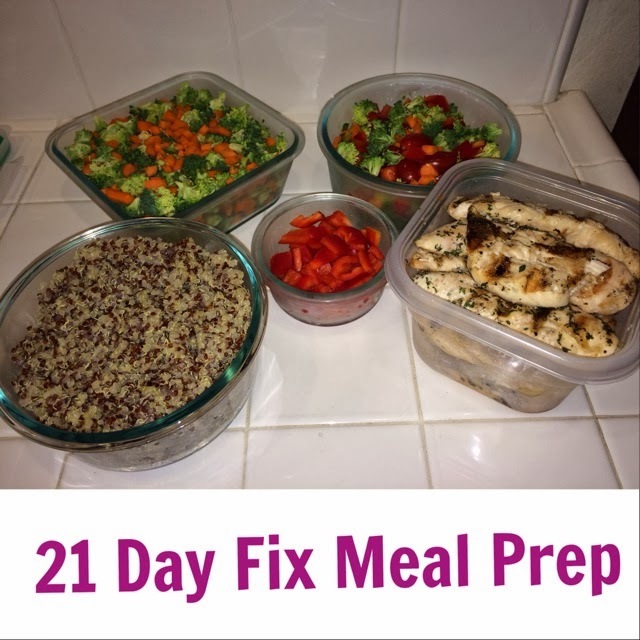 21 Day Fix shows you exactly what to do in order to lose weight. You’ll learn how to incorporate your favorite foods into a healthy, sustainable lifestyle that you actually enjoy. 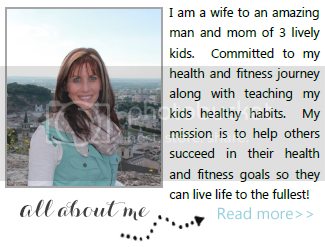 I want to do the 21 Day Fix and have support and accountability…now what? Fill out the application below for a spot in my upcoming Exclusive Test Group. 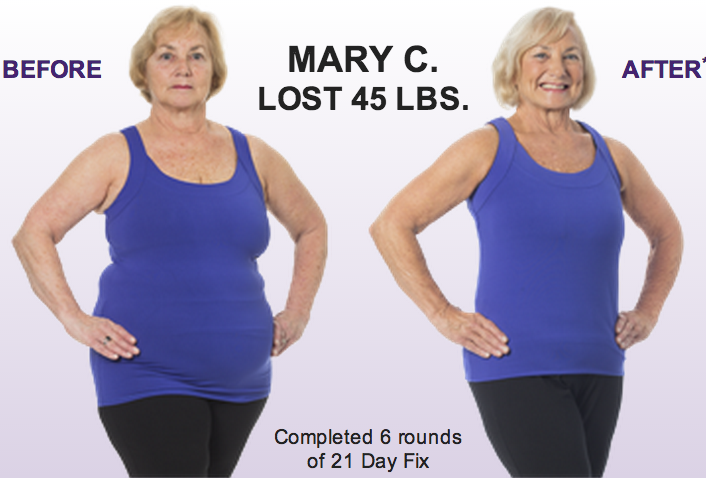 HOW TO GET THE 21 DAY FIX AT THE BEST PRICE POSSIBLE?